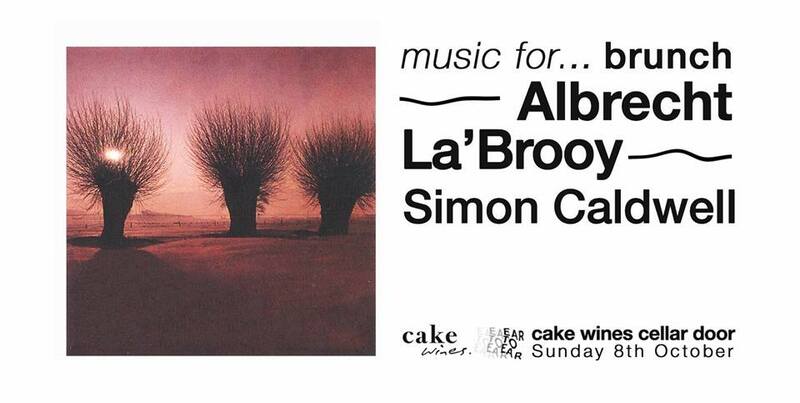 Ear to Ear and Cake Wines are excited to bring you Music For Brunch with Albrecht La' Brooy and Simon Caldwell. Albrecht La'Brooy are doing it live during the morning and through to the early afternoon, welcoming you into the day with their unique, ambient sounds we've all grown to love. Sean La’Brooy and Alex Albrecht are masters of modernising the classic jazz format while walking house music through the rainforest and down to the shore. We're very excited to hear them explore the context of brunch through their live exploration. Simon Caldwell will be taking us deep into the afternoon and early evening. As one of Sydney's greatest selectors, Simon always seems to bring a sense of integrity to his sets and isn't afraid to explore a range of genres. From deep, soulful house, techno, funk, jazz, electro and booty, through to hip hop, dub and anything else that catches his ear. Enjoy a Mimosa, Spritz or chilled Rosé, alongside the usual dazzling array of brunch foods, while Albrecht La'Brooy and Simon Caldwell guide us through the day.